Pikotaro‘s sister group Chubbiness will be flying into their 6th year of activities on November 28, and they do not want to let it go under the radar! After announcing a two-shows one-man live for December 1st at Shinagawa Intercity Hall, the body-positive and extremely cheerful idol group are getting more content to celebrate this milestone. To prepare for this event, the nine members will be reiterating the experience from last year and will be living under the same house for the entire month once again, holding livestreams of their activities and daily life together everyday. They are aiming towards getting 30 million points on Showroom over the next 17 days, each 5 million unlocking a special perk for the fans for the day of the live. 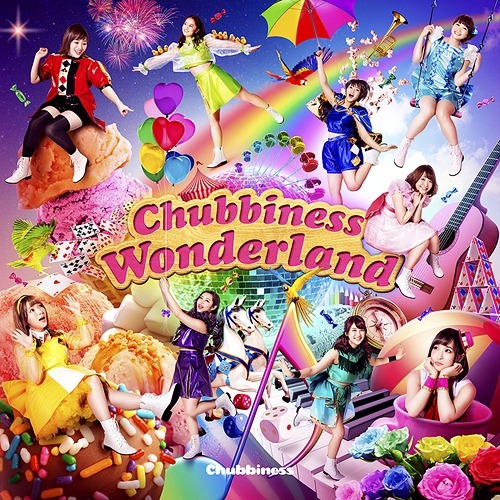 Chubbiness, managed by avex, somehow did not release a MV since “Motto, HOT! ga motto!”, revealed three years ago, before the group had even started performing on a regular basis in idol events. After debuting new song “Jongara Bushidou” at their last one-man live in December 2017, the official music video is now officially out! Producer Kosaka Daimaou (Pikotaro’s alter-ego) gave them a difficult challenge: they will have to reach 1 million views by the end of the year for this MV, or they will have to face terrible consequences! Don’t forget to share and watch the new music video to show your support to Chubbiness! Newer Post Chubbiness fait face à un nouveau challenge avec leur nouveau MV	Older Post After Paris, head to London! BANZAI JAPAN to conquer Europe!